Self-Defense Article - "Don't Fall Victim to This Critical Mistake"
For most students studying martial arts and self defense training, there is a critical, life-threatening mistake that they're making. This mistake is so important that, if not corrected, you could find yourself worse off in a self-defense situation than someone who never studied martial arts and self-defense at all. ...It can get you broken, maimed, or killed in a real-world attack from a criminal attacker who isn't going soft and slow like your training partners in your martial arts or self-defense class! Its not just a mistake that students are making. This mistake is being made AND passed-on by so-called self-defense experts and martial arts black belts too! how good you are at doing that self-defense move in class. ...CAN YOU DO IT THEN?! isn't going to help you do your technique correctly like your friend in class does - and a ton of other things you might use to impress others with your skill and "knowledge." He only cares about one thing and one thing only. And that one thing is crushing or beating you down and getting what he wants from you. So what is this grand mistake? I think you have a pretty good idea by now, don't you? ...will allow you to effectively defend yourself against a street punk with real knife, or a 280 pound drunk dock worker who has you in a bone-crushing bear-hug and squeezing the very life out of your lungs! Don't get me wrong. I'm not suggesting that you go get into a bunch of fights, or walk through the worst parts of town looking to get mugged so you can get real-life self-defense experience. But, you can at least make sure that the person you're training with - that you're learning self-defense from - HAS the experience and knowledge you need. You must find a teacher, mentor, or master with real-world experience or your training will end up being like the "blind-leading-the-blind!" If you don't know what you need, you have to find someone who does. And, if you don't have the experience, you MUST find a teacher who does. In a future article I'll be discussing how you can know whether the program you're in is worth anything or not - even if you don't have any real-world fight or self-defense experience. But, for now, you can do some basic homework by checking out some news stories and finding out what some of the common attacks are that you may have to defend yourself against. 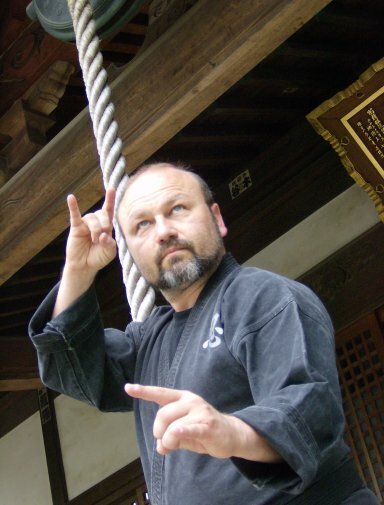 To learn more about real-world self-defense training that works, and other subjects related to the martial arts, self-defense, personal development & self-improvement, visit his website at http://www.warrior-concepts-online.com.